[Poll] High Risk and High Gain vs. Low Risk and Low Gain Strategy? When it comes to analyzing Forex strategies, many traders have no problem understanding probabilities and employing prudent risk management. They know that there is often a trade-off between a high probability of winning and a bigger reward compared to the initial risk. Normally, the closer to your entry you set your stop-loss, the higher is the chance of hitting it. The farther you set your take-profit, the lower is the chance of reaching it. The opposite is also true. The trader’s goal is to make sure that the expected payoff stays positive in the long-term. However, two strategies may have the same expected payoff but differ greatly in their risk profile. 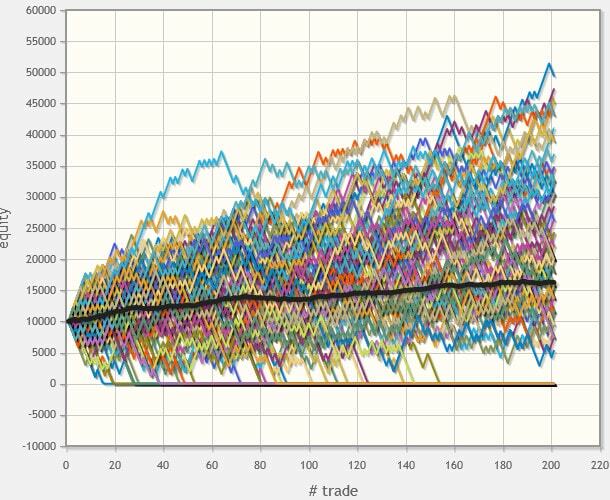 For example, a strategy with 50% win rate and risk-to-reward ratio of 1.1 has an expected payoff of 0.05 — on average, you can expect that each trade will yield 0.05 of its risked amount over the course of a large number of trades. 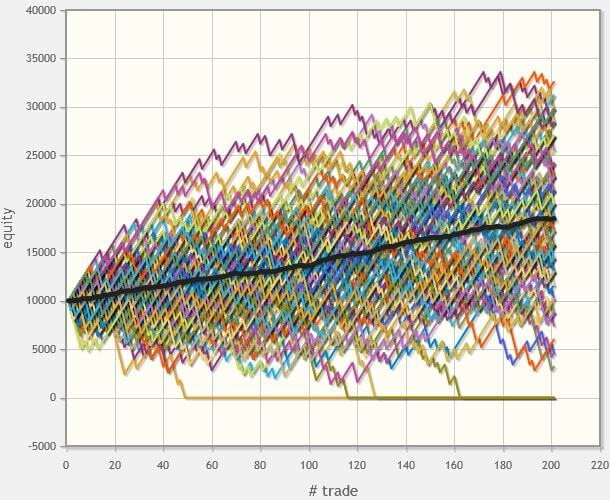 A second strategy with a win rate of 75% and a risk-to-reward ratio of 0.4 would result in the same expected payoff of 0.05. 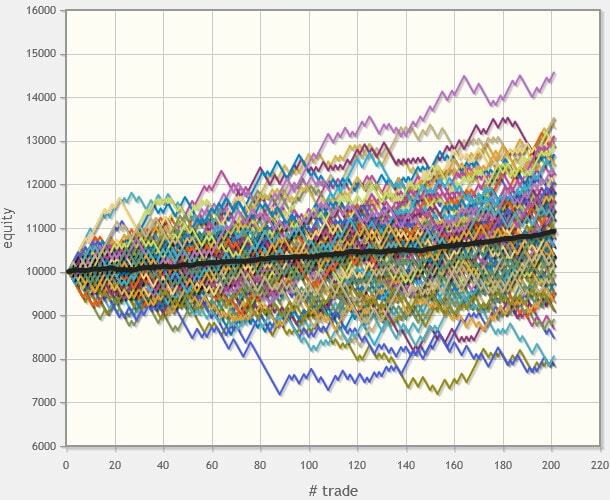 Nonetheless, both strategies would perform differently if tested on a large enough number of trades multiple times. Obviously, a more aggressive risk profile favors higher win rate vs. higher risk-to-reward ratio with the expected payoff being equal. What it means is that you can analyze your own trading strategy and adjust your risk per trade accordingly. Also, if you are testing multiple strategies you can decide which one to use based on your risk tolerance. 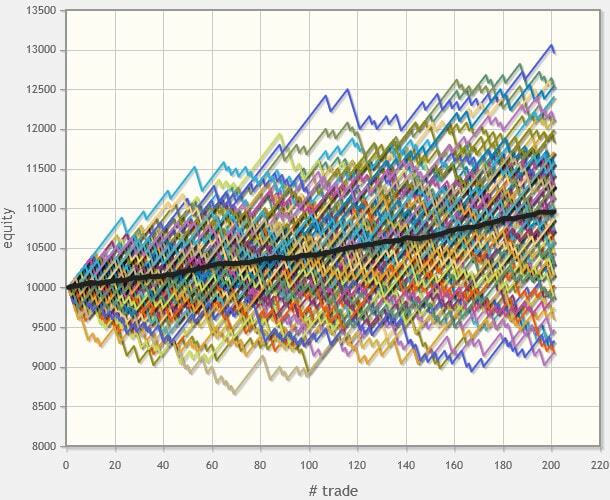 My main trading strategy (based on chart patterns) is one with a high R/R but low winning rate one, this means that I should size the positions with low risk per trade. Also, if the chance comes by, I should probably switch to a strategy that has a higher probability of winning even if it means a worse risk-to-reward ratio. And how about your strategy? What kind of strategy would you prefer? High win rate but low risk-to-reward ratio. Low win rate but high risk-to-reward ratio. If you want to share your detailed opinion on the optimal balance between probability of winning and average win size in a Forex trading strategy, feel free to post it using the commentary form below. When More Risk Is Too Much in Forex?